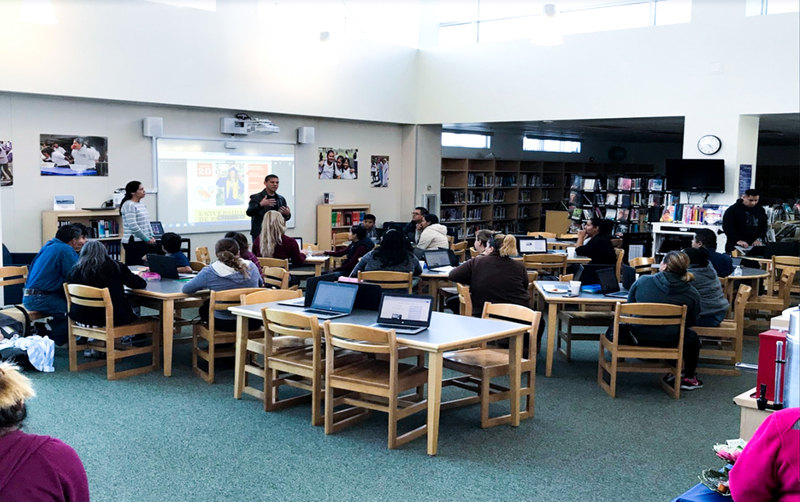 On January 23, Valadez Middle School Academy and Valencia High School (VHS) co-hosted a parent technology training. 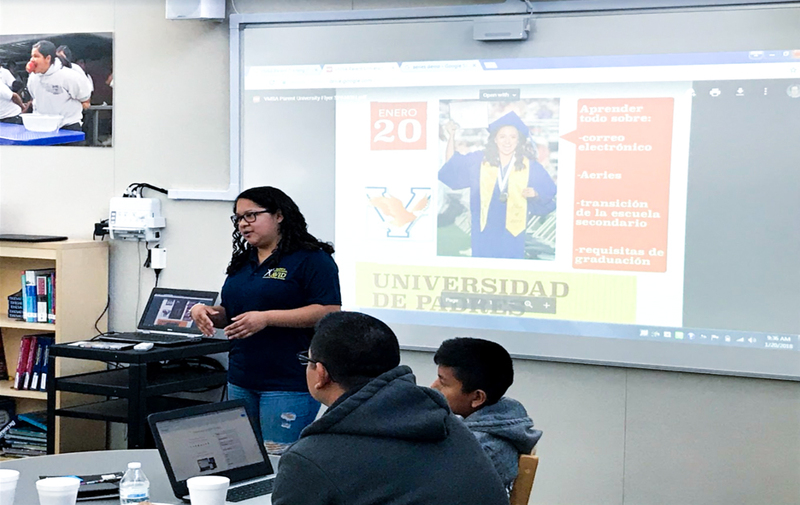 The event had a great turnout due to the support and assistance of the Placentia-Yorba Linda Unified School District (PYLUSD) Technology Department, Valadez PTA, and Valencia AVID senior students Luis Pluma and Daisy Lewin. Parents walked away equipped with new tools to help monitor their students’ performance utilizing the Aeries Parent Portal. Valadez principal, James Hardin, and Valencia AVID Coordinator, Brandon Frank, also played a huge role in coordinating the successful event. Great work! Be the first to comment on "Valadez and Valencia collaborate to help parents better understand online student information system"